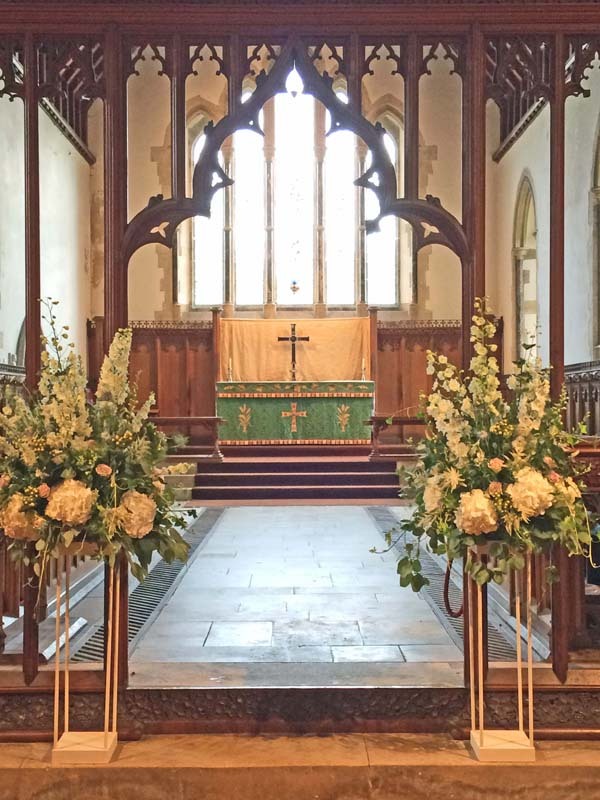 Let me present to you the Dorset wedding of the year….. 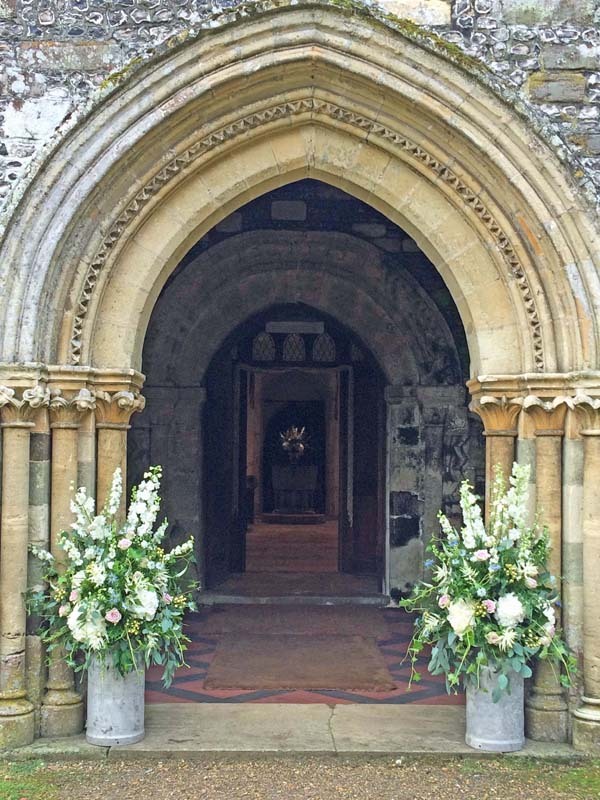 The beautiful 10 Castle Street in Cranborne….. Denise and Steven chose this stunning venue, right in the heart of the village, to hold their wedding reception. 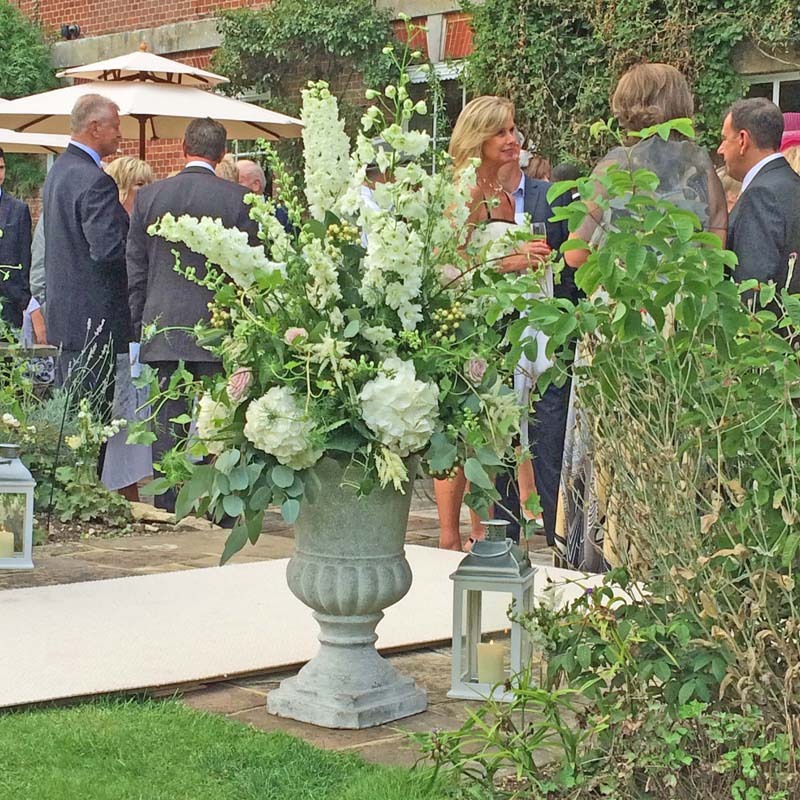 The house is beautifully decorated and intimate with beautiful lawned gardens. Bang on trend a great big massive yurt was erected on one of the terraces…. 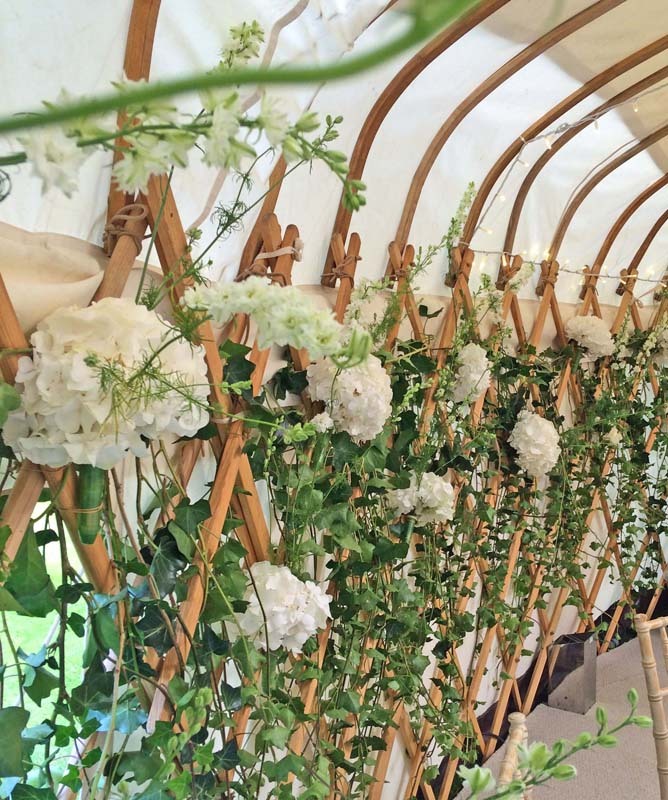 When I met Denise she had very grand ideas for her big day, I had such great fun on the journey with her, helping her plan the finer details right up to the set up on the day…. 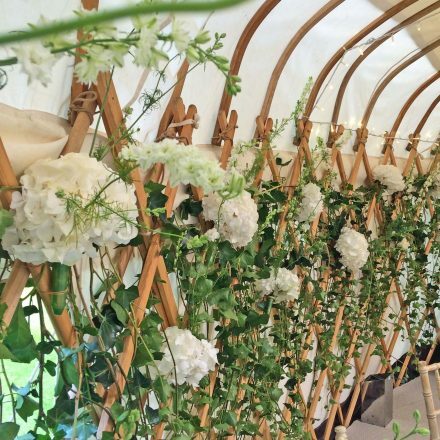 1200 stems of ivy trailed from the yurt walls with plump white hydrangea heads and white delphinium scattered amongst the leaves….. tables were set with elegant candelabras, jam jars packed with beautiful flowers sat around the base….. Milk churns and stone urn arrangements framed either end of the carpeted walk way from the house to the yurt, along which lanterns, shepherds crook and more hanging floral jam jars lined the way. 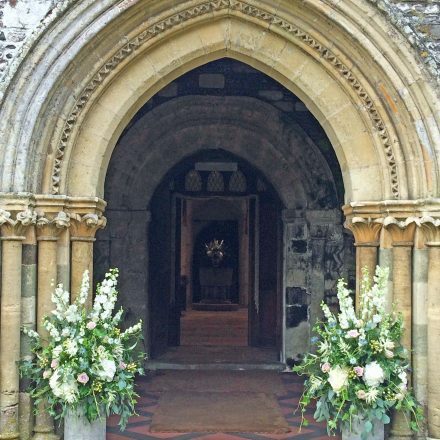 The church looked pretty yummy too with more luxury arrangements either side of the ceremony area and more milk churns framing the beautiful stone arch way entering the church. 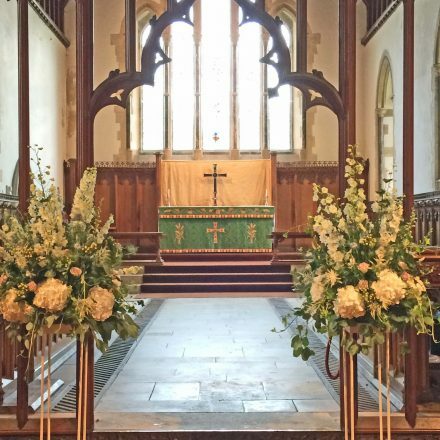 Thank you guys for choosing me to be your wedding florist and letting me be a part of your journey.